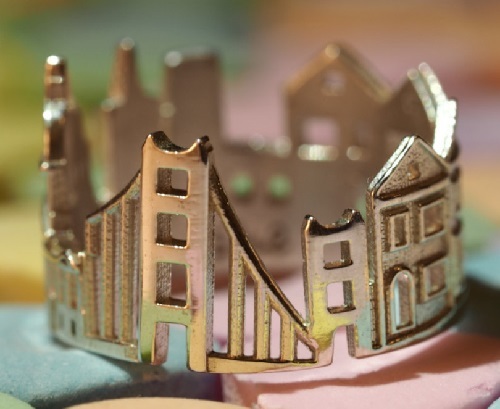 Jewellery architecture by Ola Shekhtman – amazing rings featuring architecture and spirit of the most iconic cities – London, Paris, Amsterdam, New York, Hong Kong, San Francisco, Boston, and many more. 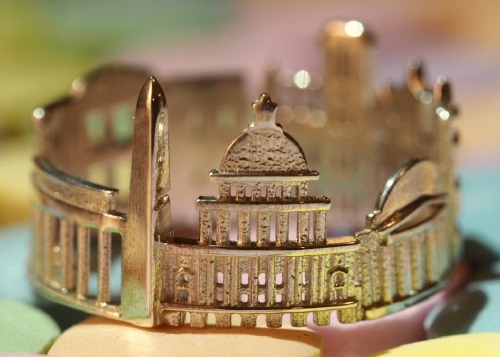 A great way for jewellery lovers to justify wearing many rings – as many, as many cities you have visited. Ola Shekhtman writes about herself that she is a designer, goldsmith, photographer, model, wrapping maker, postcards writer, video producer/operator/editor and many more 🙂 Jewelry designer Ola Shekhtman began her professional career as a student of St. Petersburg University in Russia. She was born in Serbia, but now, every few years, moves with her family to another city. 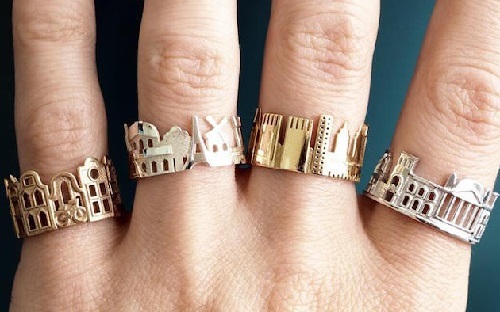 Inspired by a variety of urban landscapes, the aesthetics of each new city, she creates unique rings with the characteristic architectural atmosphere. Her exceptional talent quickly made her popular and well-known. The process of creating a ring is fully manual – from drawing sketch to melting the metal, soldering, grinding, sawing, polishing every detail. 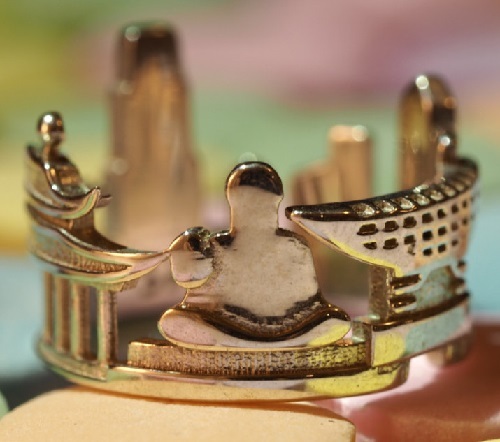 Materials the master goldsmith uses for creating her beautiful rings – Silver, Platinum, Brass, Bronze, Gold, Rhodium or gold Plated. 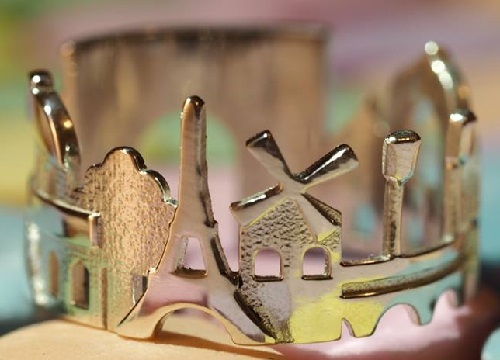 Jewellery architecture by Ola Shekhtman looks classy and stylish. 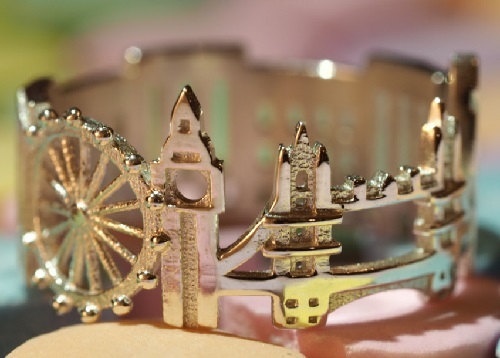 Besides, such ring can be a perfect gift, as wonderful motivation, or remindness of traveling. 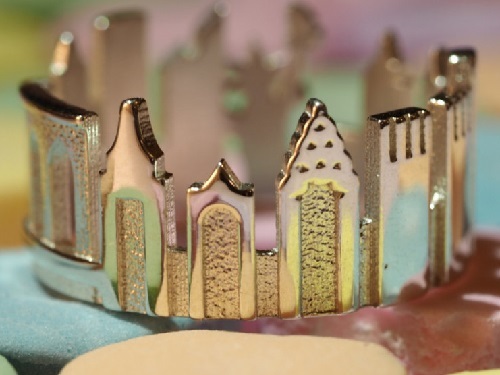 Jewelry designer Ola Shekhtman is currently living in Cary, North Carolina, USA. 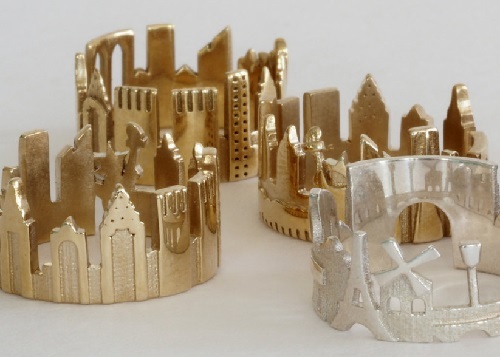 Inspired by magnificent cityscapes, her creations, as a direct reflection of her personal life, inspire others. 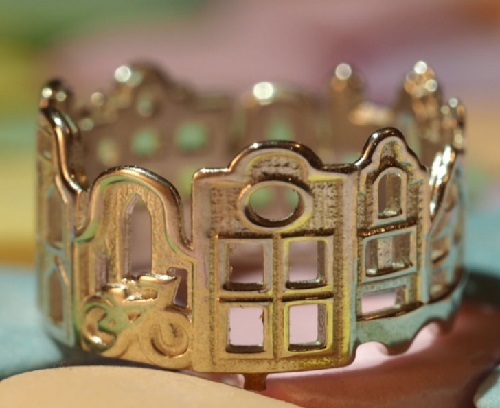 The dream of many girls to wear as much jewelry can be justified for those who travel a lot, or just dream of visiting those cities which images adorn the fingers.